Chris Trapani, Marko Trapani's son, ended Day 1B with 197,900 in chips. 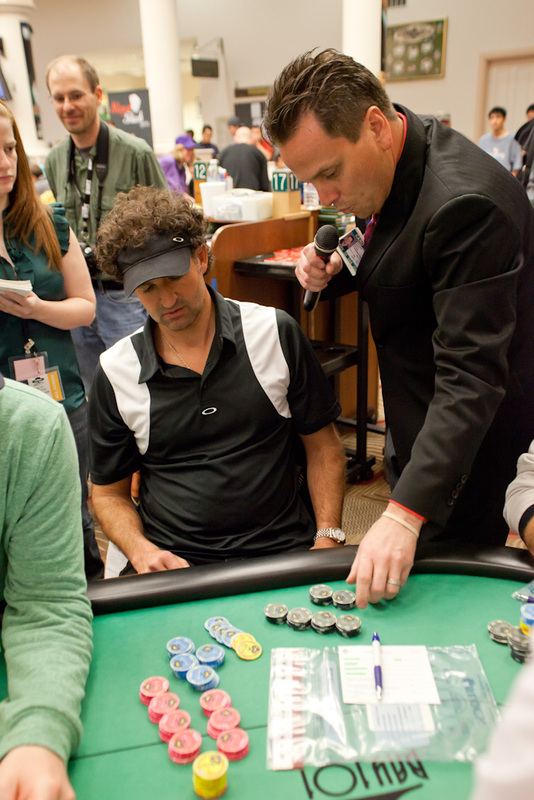 In the photo above, tournament director Matt Savage verifies the count before awarding him the $10,000 prize for being the end of day chip leader. Chris will join the rest of the field tomorrow for Day 2 at 10am as the overall tournament leader.